Did you know you can make marshmallows right from your own kitchen?? Well, if you’re like me, the thought of making your own marshmallows has probably never even crossed your mind. That is until I attended my friend Sara’s wedding back in 2009. 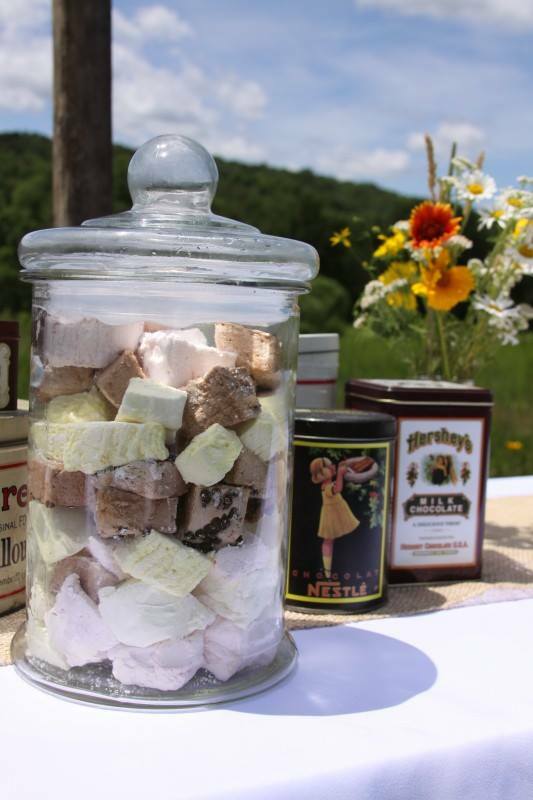 Among her many beautiful DIY wedding crafts that day, was a fun and creative Smore Bar featuring her homemade marshmallows, fully equipped with a quaint campfire for roasting and all of the fixings! Upon a recent visit to her house, Sara showed me how these delicious homemade sticky treats were done. But be prepared… these homemade marshmallows taste infinitely better than any store-bought marshmallows you will ever eat. I can only describe them as pure, soft, fresh, gooey morsels of goodness! Put granulated sugar, corn syrup, salt, and 3/4 cup water into a medium saucepan. Bring to a boil over high heat, stirring to dissolve sugar. Cook, without stirring, until mixture registers 238 degrees on a candy thermometer, about 9 minutes. 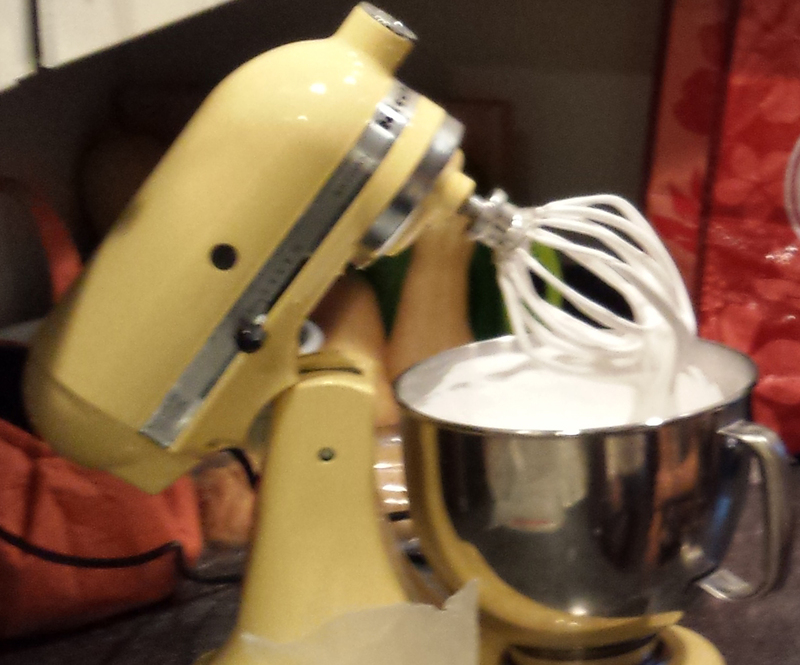 Attach bowl with gelatin to mixer fitted with the whisk attachment. With mixer on low speed, beat hot syrup into gelatin mixture. 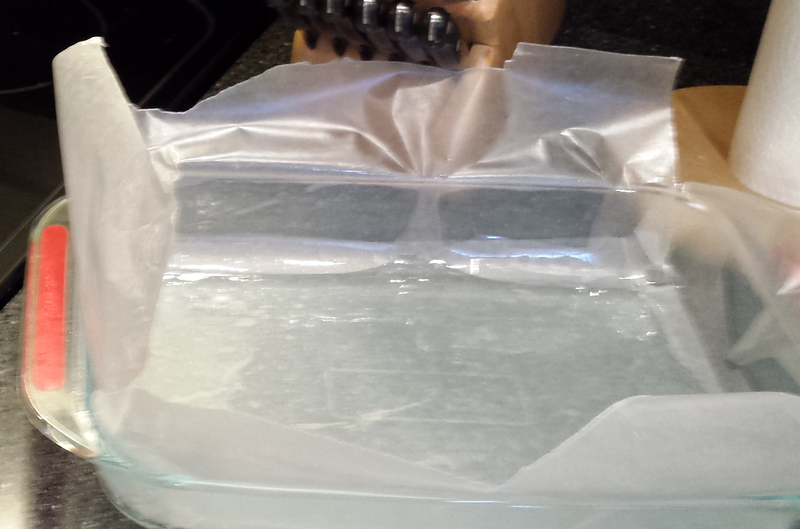 Gradually raise speed to high; beat until mixture is very stiff, about 12 minutes. Beat in vanilla. Pour into prepared dish, and smooth with an offset spatula. Set aside, uncovered, until firm, about 3 hours. Sift confections sugar on top of marshmallow in dish. 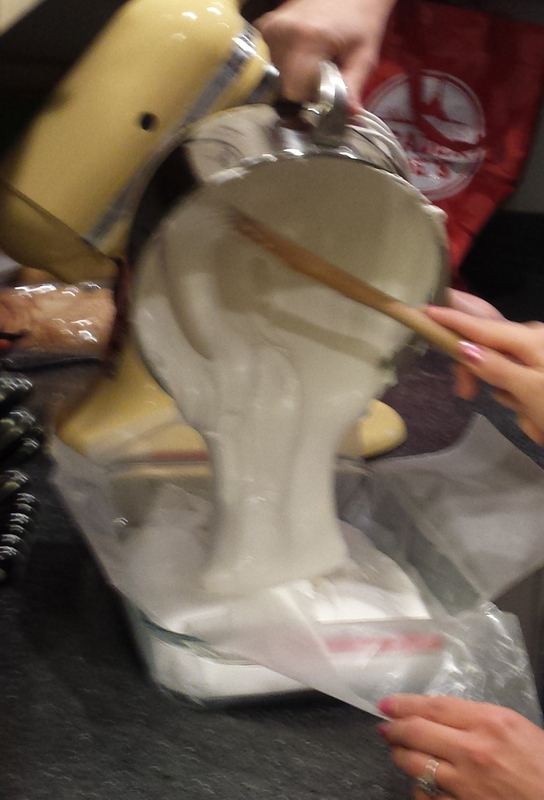 Then sift 1 cup confectioners’ sugar onto a work surface and unmold marshmallow from the parchment onto it. Lightly brush a sharp knife with oil, then cut marshmallow into 2-inch squares. Sift remaining 1/2 cup confectioners’ sugar into a small bowl, and roll each marshmallow in the sugar to coat. Marshmallows can be stored in an airtight container up to 3 days. Of course, after we finished making our marshmallows, we invited our good friends, Honey Maid and Hershey’s to the party. We lit up a small campfire in the backyard grill, and made the best smores in Leonie Marie’s smore making history. Thank you, Sara, for the experience! And as a side bar, because there were plenty of leftover marshmallows from our smore-making party, I naturally had to use them to make my next favorite thing with marshmallows… “(Honey Nut) Cheerios Crispy Treats!” WAY more yummy than the Rice Krispy version, in my opinion, with the same 3 simple steps. In case you don’t have them memorized by now, here you go: http://www.food.com/recipe/cheerio-squares-360558.